A custom facial at Lincoln Park Aesthetics can restore your skin’s youthful radiance while easing your stress and rejuvenating your spirit. Karol Gutowski, MD, FACS, and the team of skilled aestheticians use medical grade skin care products to nourish and hydrate your skin and address all your skin concerns while you relax and enjoy some expert pampering. If you are ready for maximum rejuvenation, and you live in the Chicago area, schedule a facial treatment online today, or call to book an appointment. A facial is a professional skin treatment performed by a licensed aesthetician designed to deeply cleanse and hydrate your skin and address concerns or skin conditions. A facial typically includes a skin analysis, steam treatment, exfoliation, massage, and a customized series of masks, serums, and creams based on your individual skin needs. Facials at Lincoln Park Aesthetics are performed in a calm, relaxing environment for maximum stress relief and rejuvenation. 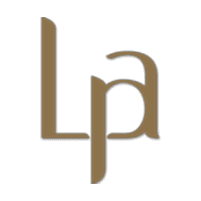 At Lincoln Park Aesthetics, a custom facial treatment is designed for your individual needs, and all of your skin concerns are addressed with medical grade skin care products. After spending time resting while the caring aestheticians pamper you, you’ll emerge from your treatment re-energized and rejuvenated, with a healthy, youthful glow. Can a facial help with wrinkles? A facial removes a few layers of dead skin cells, which can improve the appearance of fine lines. For more dramatic improvement, you can add anti-aging services such as microdermabrasion, chemical peels, and other procedures to your facial. Your provider can recommend additional services based on your individual needs. A monthly facial is ideal to keep your skin healthy and prevent the build-up of oils, dirt, and toxins. But having a facial at least four times a year can keep your skin soft and luminous. Based on your skin analysis and your personal concerns, your aesthetician will recommend the best products to use during your at-home skin care routine between facials to maintain hydration and nourish your skin. An excellent at-home skin care regimen and regular facials can give you supple skin that radiates health and vitality. To learn more about skin care at Lincoln Park Aesthetics, call the office today, or schedule a consultation online.